Some Melbourne landmarks and events are easy to access by car or public transport. But it is often much easier to reach certain tourist attractions by coach as they are either quite far from the city centre or extremely popular and therefore problematic to reach by car, train or public bus. Here are 5 major Melbourne attractions which you should consider visiting by coach. 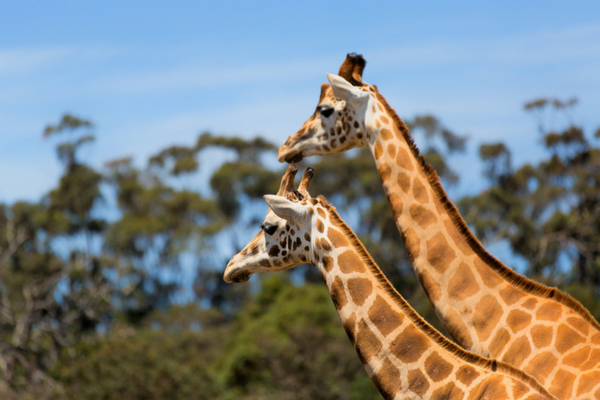 The Melbourne Zoo is a fabulous place for the young and old to see an incredible range of animals including threatened and rare species, native animals and fauna from all over the world. However, due its location in Yarraville it can be a little cumbersome to reach by public transport, depending on where you are travelling from and if you drive you may end up having to walk quite a long distance from your car to the entrance. If you travel by coach you can have the driver drop you right at the entrance and spend the day meeting animals, knowing he or she will be waiting outside for you when you are ready to leave. One of the great things about the Melbourne zoo is that it caters for visitors with accessibility and mobility requirements, so absolutely everyone can enjoy this exciting and rewarding experience. Melbourne’s Dandenong Ranges is a fabulous place to reconnect with nature and get away from the hustle and bustle of the city. From stunning gardens and fabulous picnic spots in the forest to cosy little cafe’s and captivating art galleries, this region has so much to offer. However, the long windy mountain roads can serve as a deterrence from hiring a car to drive around this region. Trust an experienced Melboune coach driver and you can sit back and enjoy the scenery without the worry of getting lost or struggling to handle the hair-pin bends behind the wheel. The MFWF runs from 31 March to 9 April, showcasing Victoria’s world-class food and wine. With more than 200 events including masterclasses, talks, tastings and decadent dinners in the CBD and right across metropolitan Melbourne and even regional Victoria. What better way to truly experience the excitement and epicurean magic of the MFWF than by hiring a coach to safely transport you to the events of your choice. The Yarra Valley is an ideal destination for a family day out or a romantic getaway. Whether it’s the award-winning vineyards and wine cellar doors or spectacular gardens, picnic spots and playgrounds that lure you to the state’s oldest wine region, you’ll be enchanted by the serenity exuded by the rolling hills and verdant forests. This is a fantastic region to visit by coach. Why not plan a wine tasting weekend by coach or go on a Yarra Valley Day Tour and immerse yourself in the food bowl of Victoria. If breathtaking mountain views, fascinating wildlife and pristine waterfalls sound like heaven to you then it’s time to discover the Grampians in western Victoria. On Melbourne on the Move’s Grampians Day Tours you have the opportunity to see one of the world’s oldest mountain ranges in all its rugged glory as you travel through the heart of the Grampians National Park, visit the Brambuk Aboriginal Centre and enjoy a lazy lunch at Halls Gap. This thrilling coach tour also includes stops at Beaufort, and the Jaws of Death or Balconies and Reeds Lookout, as well as the magnificent Mackenzie Falls. Melbourne on the Move offers bus and coach hire for every occasion. We will provide the driver, and make sure that the coach arrives on time, in excellent condition and gets you safely back to your pickup points. Visit Melbourne’s most popular attractions in style.